My contribution to Harvard University’s Nieman Reports special issue “The Digital Landscape: What’s Next for News?” Here’s an excerpt, or go here for the full text. 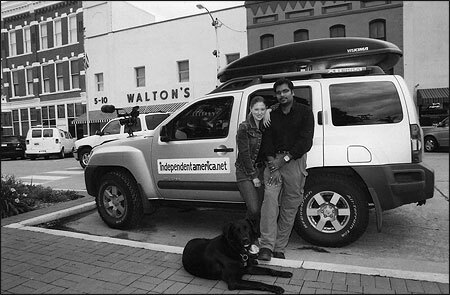 Filmmakers Hanson Hosein and Heather Hughes took their dog Miles with them on the road to make “Independent America: The Two-Lane Search for Mom & Pop.” Photo by Paul Perrier. Six years ago I turned away from my television career with NBC News. Around me, I was seeing the explosion of broadband Internet access, powerful computer processors, cheap digital storage, and the proliferation of portable content creation and distribution devices. All of this was throwing the very controlled communication system that provided my work and income into turmoil. Suddenly almost everyone had access to a cheap and easy-to-use digital communication medium. Yet the reality is still that humans have only so much time and interest in consuming media. 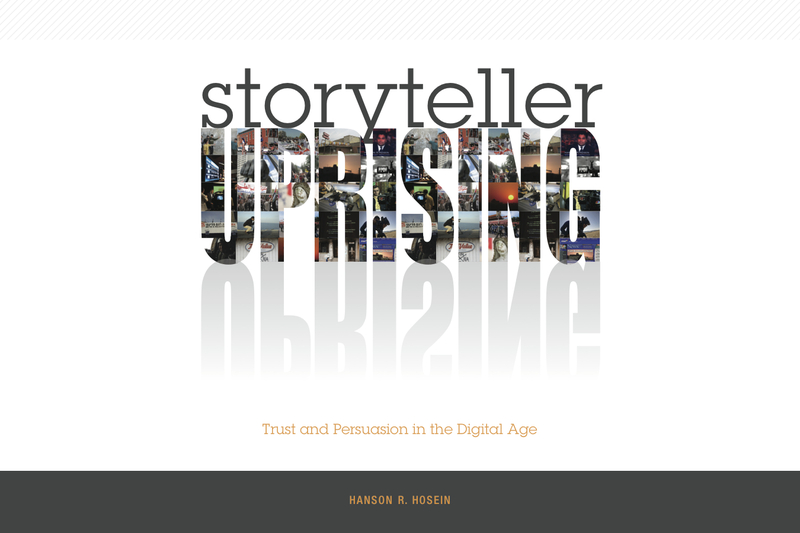 When virtually everyone can produce content, the challenge becomes convincing people to pay attention and effect a transaction—share the content, get involved, or act in some way on what’s been learned.